Eric W. Stephenson is an American sculptor based in Chicago whose work explores the form, spirit, and experience of the body, human and otherwise, rendered through abstraction and informed by industrial materials and methods. One such trajectory of work focused on the earthly remnants of insects and plants, another on commemorative containers for the human spirit. His most recent work returns to the human form to figure a language of movement through a mastery of metal. Stephenson has taught at the University of Houston, Rhode Island College, and the Art Institute of Chicago, and has taught workshops at the University of Kentucky, Humboldt State University, and multiple International Sculpture Conferences, among others. His work has been shown at Fusion MIA during Art Basel Miami, the Elmhurst Museum, N’namdi Gallery, the Koehnline Museum, Grounds for Sculpture, and the Frederick Meijer Sculpture Garden, among others. Stephenson’s work is found in numerous private and public collections, including Miller Electric in Appleton, Wisconsin, from whom he won the First Biennial Miller Sculpture Exhibition Purchase Prize, the Elmhurst Museum, the Village of Oak Park, and Delta College in Midland, Michigan. 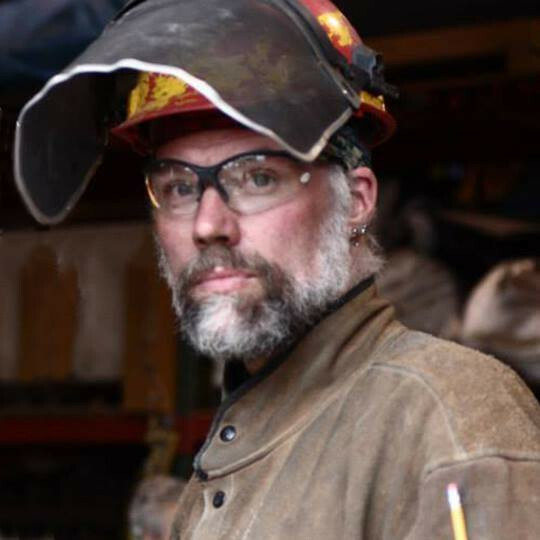 Stephenson received his BFA from the Pennsylvania State University and MFA from the University of Houston, and in 2014 completed a SIM Residency in Reykjavik, Iceland.